Smashwords and Flipkart are ending their distribution agreement first announced in August, 2013. The unfortunate news effectively hands the market for indie ebooks in India to Amazon. A few weeks ago, I notified Flipkart that Smashwords was placing its distribution agreement with Flipkart under review. I provided Flipkart a deadline by which Flipkart was asked to repair certain problems related to the listing and removal of Smashwords titles, and to provide Smashwords an acceptable plan to prevent such issues from recurring in the future. I informed Flipkart that if these requirements were not met that Smashwords would request the immediate removal of all Smashwords titles. The deadline was missed and an acceptable plan was not presented. This morning Smashwords received word from Flipkart that after careful consideration, Flipkart determined their systems are not yet capable of supporting the dynamic nature of the Smashwords catalog. As a result they will begin winding down the relationship with Smashwords and remove our titles. Under the distribution agreement with Smashwords signed in 2013, Flipkart - like all Smashwords retailers - is contractually obligated to process new title deliveries, metadata updates and book removals in timely fashion upon notification from Smashwords. In recent months, Flipkart has not reliably met these requirements. In recent weeks the delays worsened. 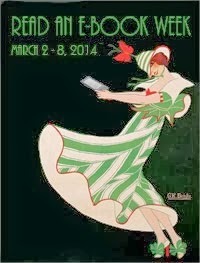 Unlike the print book market of yesteryear where books were relatively static objects and changed little over time, ebooks are dynamic living creatures. Ebooks evolve over time. At Smashwords, we give our 100,000+ authors and publishers the ability to change any aspect of their book, from metadata updates such as pricing and book descriptions to changing book contents, covers and publishing rights. Every month, Smashwords is shipping out thousands of new books and hundreds of thousands of metadata updates to existing books. To process this deluge of dynamic data, our retailers work in partnership with Smashwords to build sophisticated automated content ingestion systems. These systems - even at the largest retailers - are prone to intermittent error or delay. Our primary concern was Flipkart's delays associated with the removal of Smashwords titles that had been unpublished. Most of these titles were removed because the Smashwords author or publisher made the decision to enroll their book in KDP Select, an ebook self publishing option offered by Amazon that requires authors to make their books exclusive to Amazon. 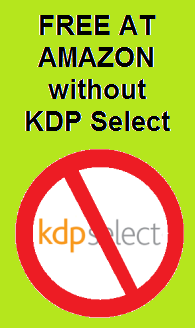 Once authors enroll a title in KDP Select, Amazon requires the author to immediately remove the book from all competing retailers otherwise the book is removed from the KDP Select program and the author is warned that repeated offenses could lead to the termination of their entire KDP account. As we emailed to you earlier, KDP Select Terms and Conditions require that books enrolled in KDP Select be exclusive to Amazon in digital format. As the following book(s) is not exclusive, it has been removed from KDP Select, but remains live in the Kindle Store. It is no longer eligible to earn a share of the KDP Select fund, however you will be paid for any borrows that your book accrued prior to its removal from the program. Once you’ve confirmed your book(s) is no longer available elsewhere, you may re-enroll it into KDP Select. Please always confirm your books are exclusive to Amazon at the time of enrollment as repeated violations of KDP Select Terms and Conditions may result in permanent loss of KDP Select benefits for all books, as well as termination of your KDP account. At Smashwords, we expect our retail partners to honor the rights of our authors and publishers. These rights are articulated in every contract with every Smashwords retail partner. If a Smashwords author wants their book unpublished and removed from a retailer for any reason, our retailers are required to remove the book without delay. At Smashwords, the author is the publisher and we fully support and respect their decisions to manage their rights as they see fit. The reason for removal does not matter to us, thus our insistence that Flipkart process all updates in a timely manner. That said, I am not a fan of KDP Select. Ever since the launch of KDP Select in December 2011, I and hundreds of other like-minded indies have spoken out against it. From my perspective, the publishing industry and media don't yet grok how KDP Select is undermining every large publisher, every indie author and every ebook retailer. In the process, they're also undermining the future of book culture by limiting the availability of books. Many indies don't understand the long term implications of KDP Select. The million or so books enrolled in KDP Select are almost entirely provided by the indie author community. 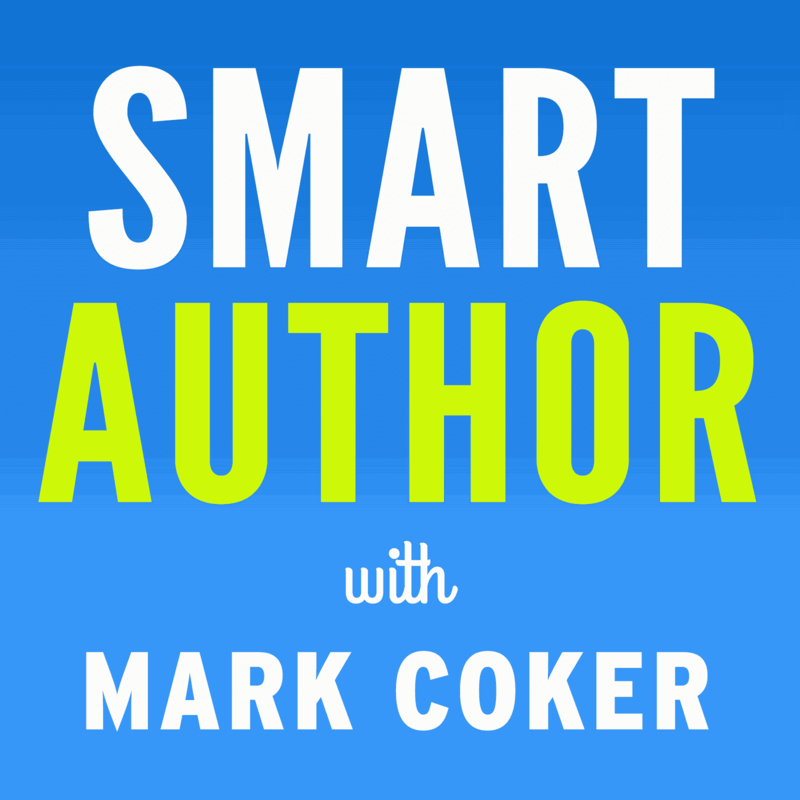 Amazon coerces authors to enroll their books my making KDP Select books more discoverable and more desirable to Kindle customers, while making non-exclusive books less visible and less desirable. The message is quite simple: If you want to sell more books at the world's largest ebook retailer, you must be exclusive. 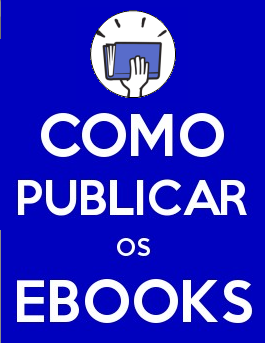 Publishers are suffering too. This past weekend I met with a publisher in New York whose books were being made less visible in Amazon searches. Readers search on the publisher's author or title and they're presented with multiple irrelevant search results pointing to alternate books which are exclusive books. I believe KDP Select is toxic to the future of indie publishing because it forces authors to abandon competing retailers and become more dependent upon Amazon. When competing retailers lose access to this important inventory of indie titles, they can't compete. Amazon wields its dominant market share like a club to bludgeon authors who don't fall into compliance with Amazon's exclusivity or pricing requirements, even when the lack of compliance is not the author's fault. No other ebook retailer practices such draconian punishment of authors. 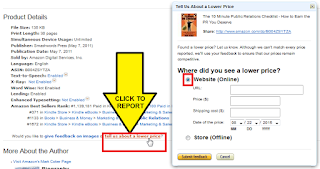 Amazon has engaged in these heavy-handed tactics for several years, most typically through automatic price-matching which robs authors of their royalties. Amazon knows the problem is not the author's fault. Several years ago at BEA I met with a top Amazon Kindle executive and requested that they stop punishing our authors when one of our retailers makes an error or has a delay. I suggested during that meeting Amazon should enforce based on author intent. I suggested Smashwords could provide Amazon a direct pricing feed so Amazon could judge the author based on the author's intent rather than price-matching against retailers supplied by Smashwords. Although he acknowledged it would be a fairer method and sounded reasonable, nothing came of it. Amazon only stepped up their punishments. Ten days ago, in response to media reports of a letter Jeff Bezos sent Amazon employees, I wrote my first ever email to Mr. Bezos to express my concern about Amazon's bullying tactics against authors. The full text of that email is pasted below this post. I did not receive a reply. My decision to put Flipkart on notice was not an easy one, and followed months of good-faith effort on Smashwords' part to help Flipkart improve their systems. To Flipkart's credit, they tried in good faith to meet our demands but in the end acknowledged they're not yet prepared to handle a dynamic catalog of our scale. To be clear, the termination of our agreement with Flipkart is not Amazon's fault. However, Amazon was a catalyst because the harm they're causing our shared authors made it impossible for us to give Flipkart the runway they needed to improve their systems. Although Flipkart is a small ebook retailer and the financial impact on Smashwords authors will be negligible, I'm more concerned by what this signals for the future of ebook retailing around the world. Amazon's tactics make it extremely difficult for even large well-funded companies like Flipkart to support indie authors (Flipkart has received $550 million in funding and is valued at $15 billion - http://www.wsj.com/articles/flipkart-valued-at-15-billion-after-latest-funding-1432021294). Amazon's tactics have a chilling effect on the formation of future ebook retailing startups by discouraging indie authors from working with other retailers. Imagine how difficult it will be for smaller retailers across the global to build regional ebook stores when the bar for entry is the ability to process millions of dynamic books with 100% accuracy and no margin for error? 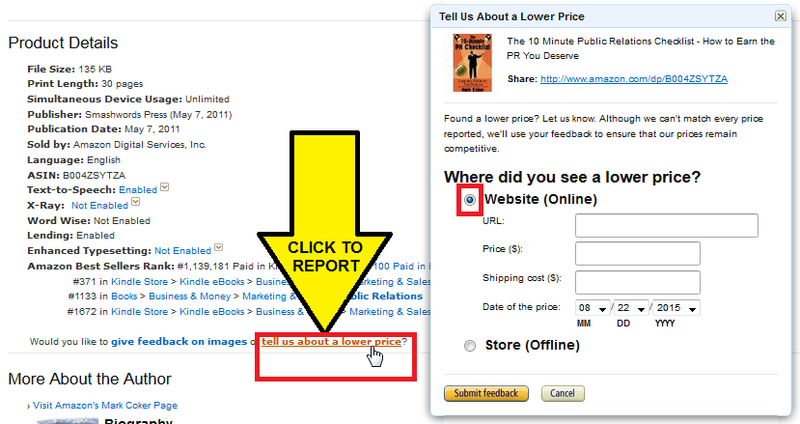 Amazon doesn't just punish the author in that local market, it punishes the author worldwide. Why would an indie author want to put their entire Amazon earnings in jeopardy simply to reach a small market at a single small retailer when Amazon allows no margin for error or delay? Flipkart will lose access to over 200,000 indie ebooks. Other than Flipkart and maybe Google, Amazon has no viable competitor for ebooks in India. iBooks has not entered India yet. Amazon is now being rewarded for their draconian policies enforced against indie authors, and their KDP Select program will only grow stronger as a result. The nascent indie author community in India will have only one viable option to reach their home market, and that's Amazon. Amazon pays indie authors only 35% list for their ebook sales in India, and requires authors to become exclusive if they want to earn 70% list. Smashwords paid authors and publishers 60% list for Flipkart sales and we've never required exclusivity. We wish our friends at Flipkart well. If the day comes when they're able to build more robust ingestion systems on par with our partners iBooks, Barnes & Noble, Kobo and others, we'll welcome the opportunity to reengage with them to serve the Indian readers and authors. We've never had the opportunity to communicate. In your employee letter reprinted by Forbes, you speak out against callous management practices and state how you have no tolerance for lack of empathy. 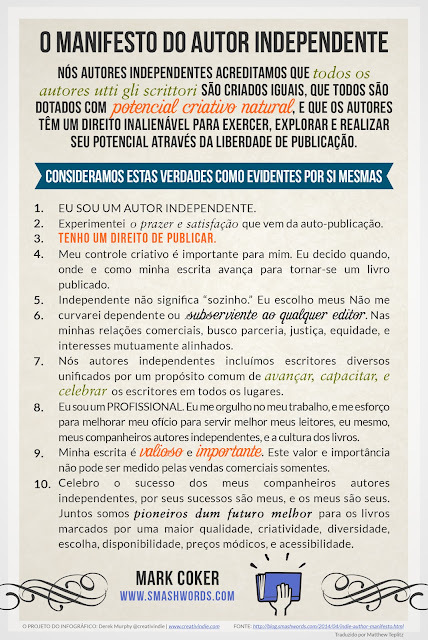 Do these principles apply to how you treat your KDP authors? If so, I can only assume you're not familiar with the draconian punishment Amazon has been meting out against thousands of KDP authors since 2010 through price matching. You've robbed thousands of authors of their royalties though this practice. than face the wrath of Amazon. I think you're the smartest guy in this business. All of us in the business owe you and Amazon a great debt of gratitude for catalyzing the ebook revolution. 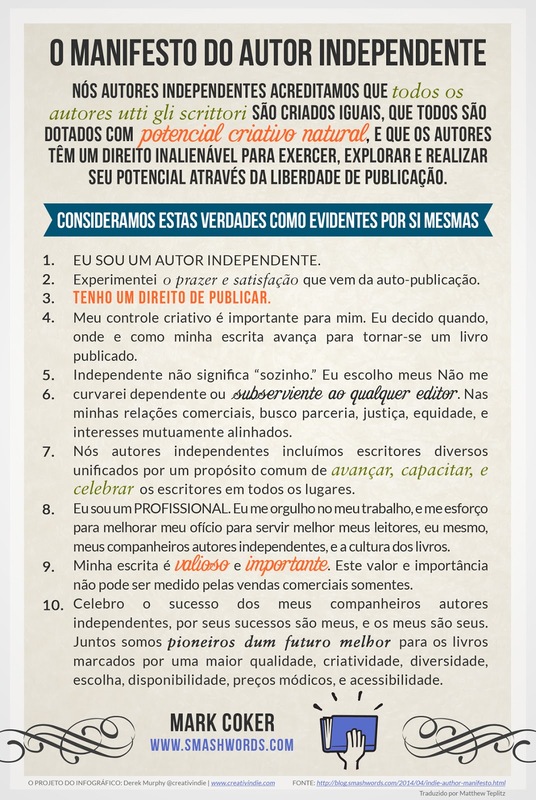 However, I cannot respect the tactics you use to browbeat and intimidate our shared authors. You hurt innocent people, and this hurt cannot be rationalized away by your many good deeds. I'm not opposed to price matching. I'm opposed to how you punish our shared authors when their book prices are out of alignment through no fault or intent of their own. In recent weeks I've heard from authors who received threatening emails from Amazon regarding their status in KDP Select due to Flipkart in India failing to remove their books in a timely manner. The authors tell me that Amazon is threatening to kick their books out of KDP-S worldwide simply because this tiny Indian retailer is having difficulty removing titles in a timely manner. The message you're sending authors is that they risk the wrath and punishment of Amazon if they allow Amazon's competitors to carry their books. Maybe that's the point. If so, your plan is brilliant. But the plan has one fundamental flaw - you're building resentment in the author community. People will bend to coercion and intimidation if they feel they have no choice. But if given a choice in the future, they will turn on you. Might I suggest a kinder, gentler approach? If you want to price match a Smashwords author, we can provide you an automated pricing feed, because the price at Smashwords reflects the author's true real-time intent. You could use this instead of price matching against our retailers. As of today, I have not heard a response. I realize he's been extra busy lately.